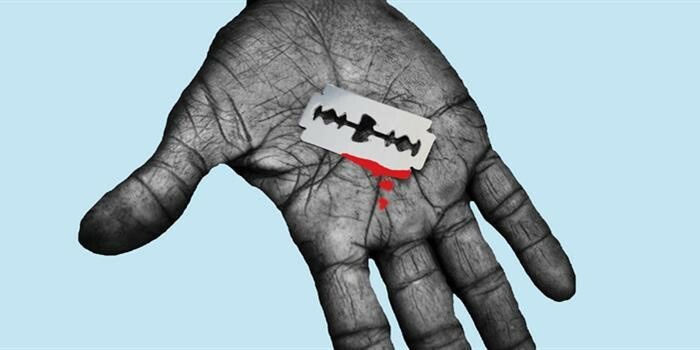 The divisions tearing at the fabric of the United Kingdom have not been this pronounced since Suez; neighbours, friends and even relatives have found relationships strained – in some cases to the point of not talking. It is unsurprising that these social fissures are reflected at a political level with Westminster in a state of complete paralysis, devoid of imagination or apparent competence. Given that the consequences of Brexit will be huge and those tasked with its negotiation are increasingly moribund, the demand for a People’s Vote is inescapable. By its own red lines, the British Government has abjectly failed in the Brexit negotiations and Parliament has prolonged the process. It is shocking to watch a government withdraw its flagship policy in the certain knowledge of a total defeat. Add to the situation an insidious leadership challenge and open ministerial jockeying, the sense of British decline is palpable. On the Prime Minister goes seemingly deaf to the howls behind her, fury in front and bemusement abroad. Against this background, the term ‘constitutional crisis’ understates the seriousness of the situation, highlighting the need to break the stasis that could see the United Kingdom fall out the EU with no deal. A People’s Vote would return the Brexit question to its legitimate and original source; The British public. 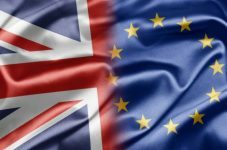 A vote is the only way to overcome the rife constitutional divisions, properly assess how Brexit has developed and whether the promises made in the first referendum had a solid base. Treasury forecasts and Bank of England models have unanimously found that Britain will be a poorer place following Brexit, but the most critical consequences can not be measured in GDP alone – peace in Northern Ireland, the ability to travel freely across Europe, a set of standards and rights that protect all European Citizens. The tangible benefits of Union membership will prove more valuable than the theoretical dreams of a regulation free Britain. It is amazing that in the vilification of shared sovereignty, no domestic media has ever inquired into those Member States who find themselves enhanced by it. When the UK comes to negotiate the future trade relationship, the entire European Union will back a single Member State with a particular interest – fishing rights, Gibraltar and medical research funding are just three examples. The full impact of third country status has not been realised yet and politicians have not been honest about what it will require. It is essential that the people are given a final vote before deciding on a major change of direction. A People’s Vote is the embodiment of a living democracy and is only opposed by those Brexit fundamentalists who know their arguments have melted in the heat of negotiation. It is democratically and constitutionally consistent to ask the British people for their assent to whatever the next steps are and I would suggest the only way to heal the divisions of an electorate that now clearly favours remaining in the European Union. The chaos of the Brexit process has shown inherent weaknesses in British statecraft. A reputation of caution, balance and competence has given way to Brexit fundamentalists who attack constantly but never offer an alternative. Britain is too important a nation to stagger out of a union that has provided growth and stability for 40 years. It is critical that whatever the Government brings back, a People’s Vote gives the final decision. Over the past months, I have received many emails expressing concern over the Copyright Directive, but I have also received many emails in support. After researching the issue thoroughly and talking with professionals from the industries on both sides the debate, I took the decision to vote in favour of the directive, support the creative industries, and close the value gap. As current copyright legislation stands, there is little protection for copyrighted materials in the digital market. This directive aims to bring copyright legislation into the digital age by making sure that platforms are responding appropriately to make sure that creatives are fairly remunerated for any works uploaded to their platform. The campaigns circulating the internet (mostly funded by Google and other big names in the tech sector) claimed that the European Parliament wanted take away “freedom of speech” and “censor the internet” with this directive. I can assure you that this not the aim of MEPs and any such claims are false. This directive will not have any adverse effects on internet users. Article 13 Copyright Directive is merely asking platforms to license content, much like any pub or retailer must purchase licences to have music playing on their premises. If platforms license fully, the users will not lose their ability to post and share images, music and videos on the internet. This directive does not prescribe upload filters; however, the majority of platforms already use them. The directive will allow transparency on their use and calls for a fair and effective redress mechanism in the case of a user believing their content was removed unfairly. I believe that Article 13 and its corresponding recitals are vital in closing the value gap and ensuring that we support creatives in Europe. I also believe that Article 11 of the directive is important in ensuring that consumers can continue to enjoy a free, independent media that underpins our precious democracy and fuels Europe’s rich cultural diversity. The directive will give publishers the legal standing already enjoyed by music, film and broadcasters and allow companies that wish to re-use and monetise publishers’ content to negotiate a license for the works. The directive excludes individuals from the scope of right, so the right to share links will remain untouched and it specifically excludes the protection of hyperlinks. Not only does the directive protect publishers, it entitles journalists to a fair share of any additional revenue granted by the Publisher’s Right. Whilst, the text is not perfect, I have trust that these issues will be ironed out during interinstitutional negotiations between the Parliament, Commission and Council. Overall, I believe that the Copyright Directive will achieve a fair and workable digital ecosystem for the benefit of consumers, platforms, publishers, creatives and every part of the internet community. 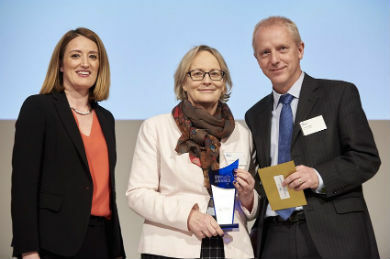 Julie Girling – MEP of the Year for her work on Agriculture and Rural Business Development. The European Parliament was invited to vote to decide which MEP had made the greatest impact on key aspects including animal health and welfare, product quality and food security. 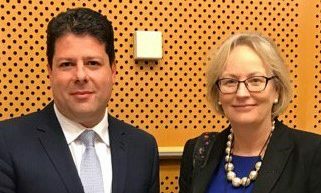 Mrs Girling, Conservative MEP for the South West and Gibraltar, was praised for her longstanding support of better animal welfare and for her successful management the Parliament’s position on National Emissions Ceilings, helping to deliver tough new targets aimed at reducing air pollution and cutting premature deaths from poor air quality. She was also recognised for her recent report on guidelines to improve the welfare of the EU’s seven million horses and donkeys. Julie Girling MEP – My thoughts on the events in Westminster this week. So the Brexiteers say the EU is going to collapse ….here’s evidence of exactly the opposite. Just one small example of how they’ve got everything so hopelessly wrong.